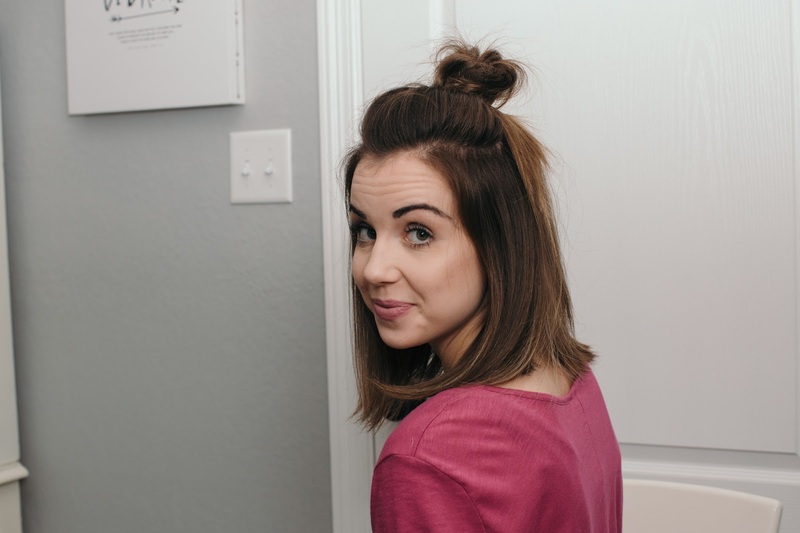 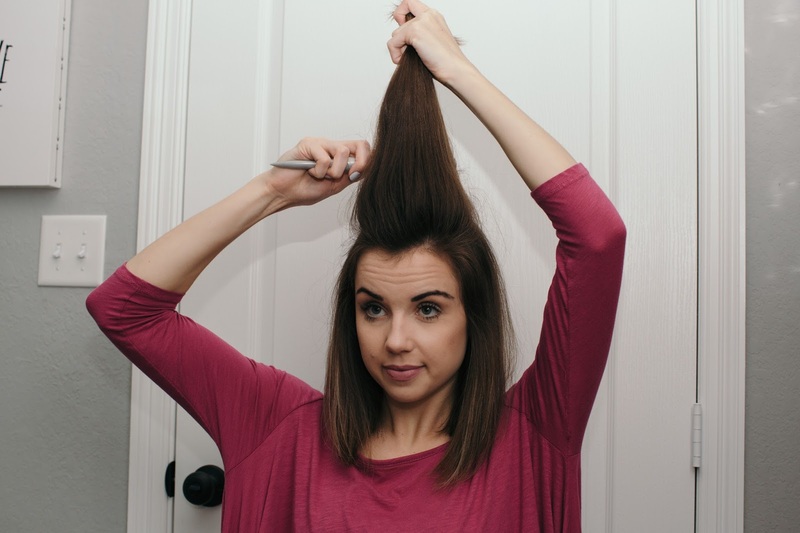 I've gotten so many compliments on my top know half up half down hair so I figured it would be perfect to share a quick easy tutorial so y'all can rock this do! 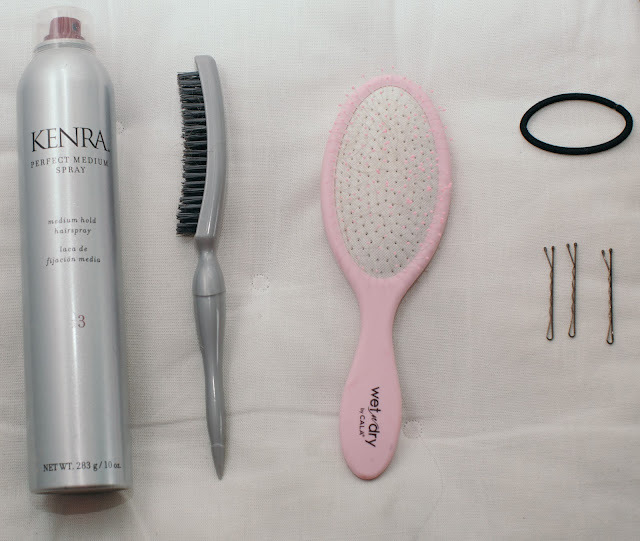 Here is everything you'll need! 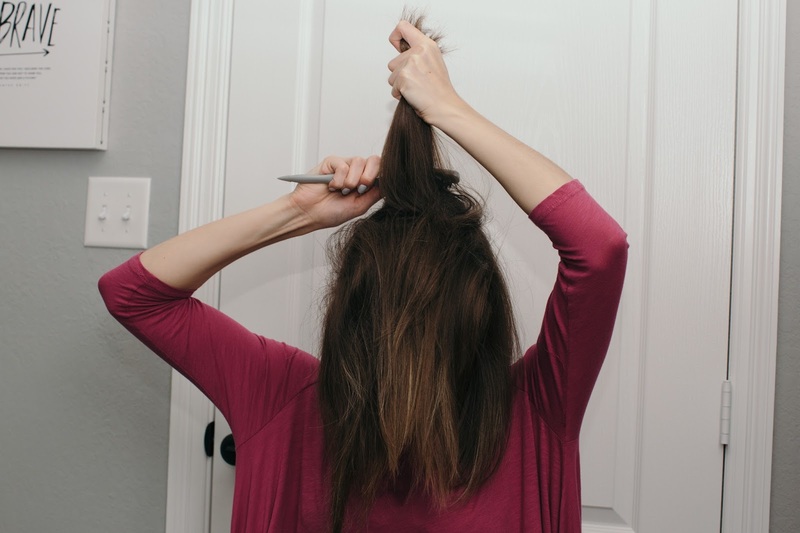 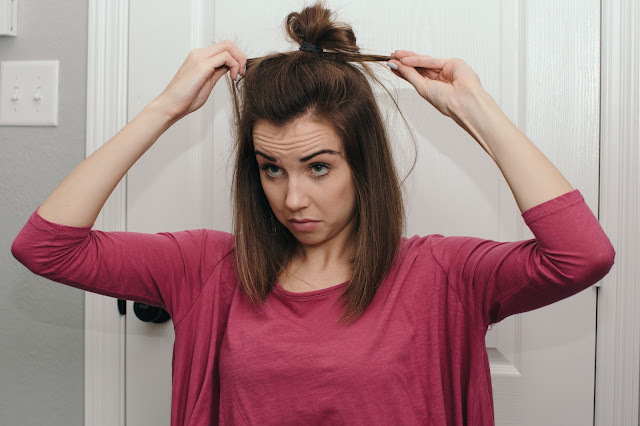 Brush your hair to prep it and make sure all knots are out! Take the crown and tease tease tease! 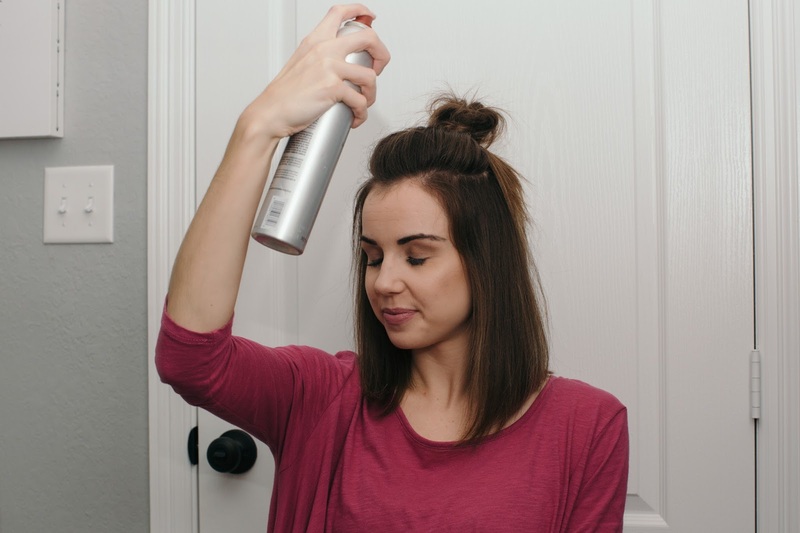 You need volume so don't be shy. 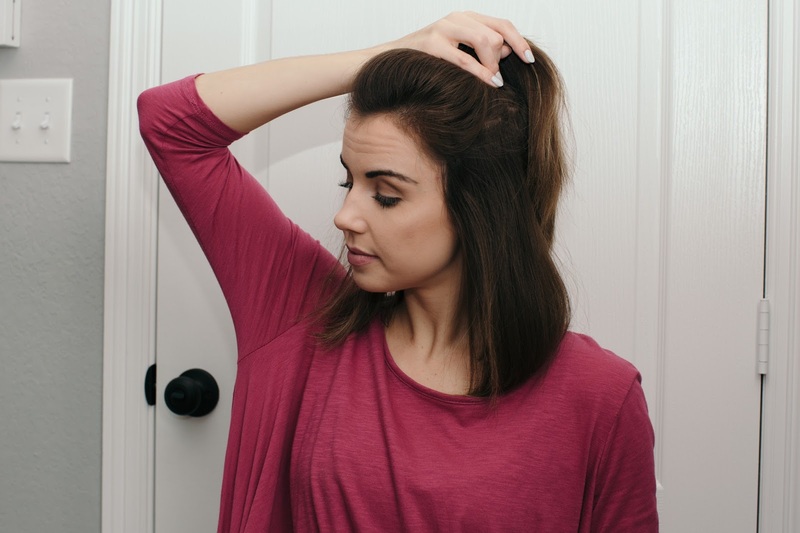 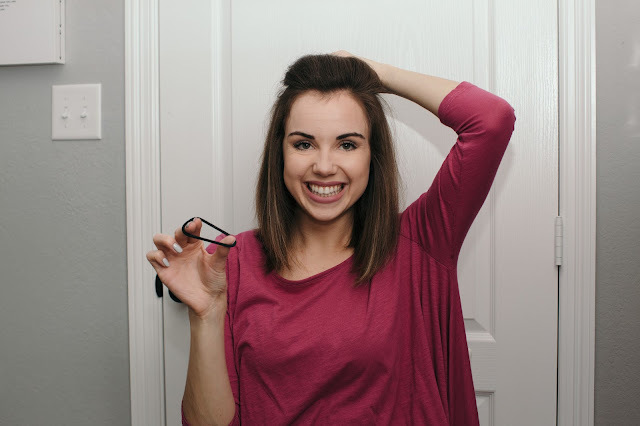 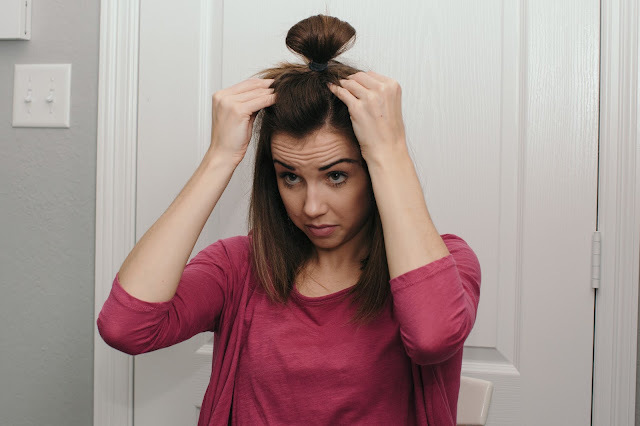 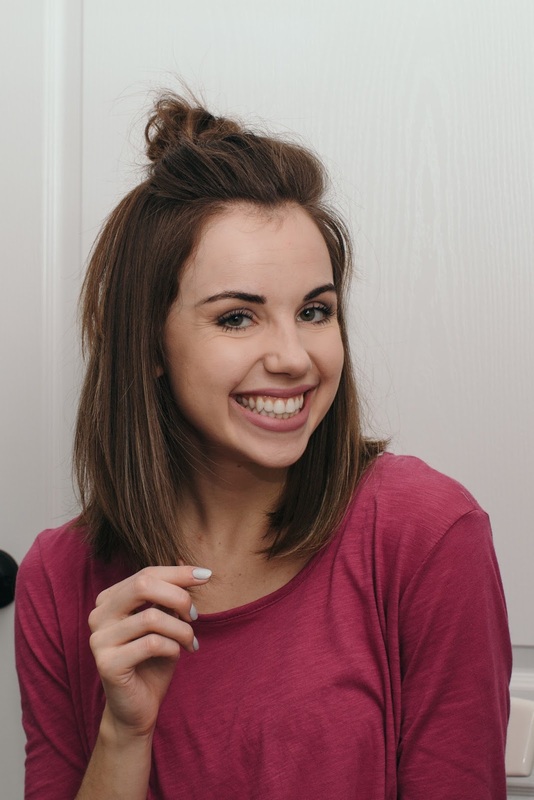 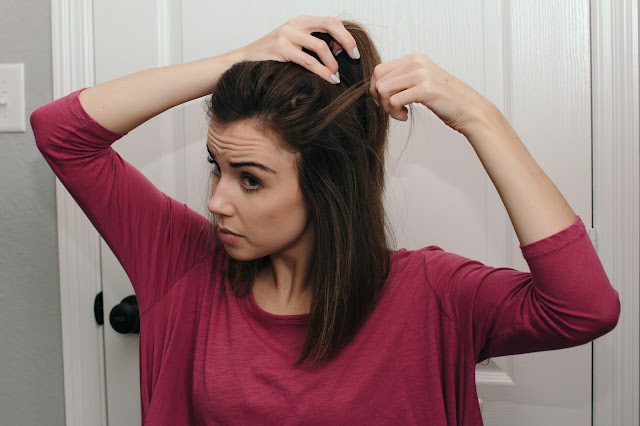 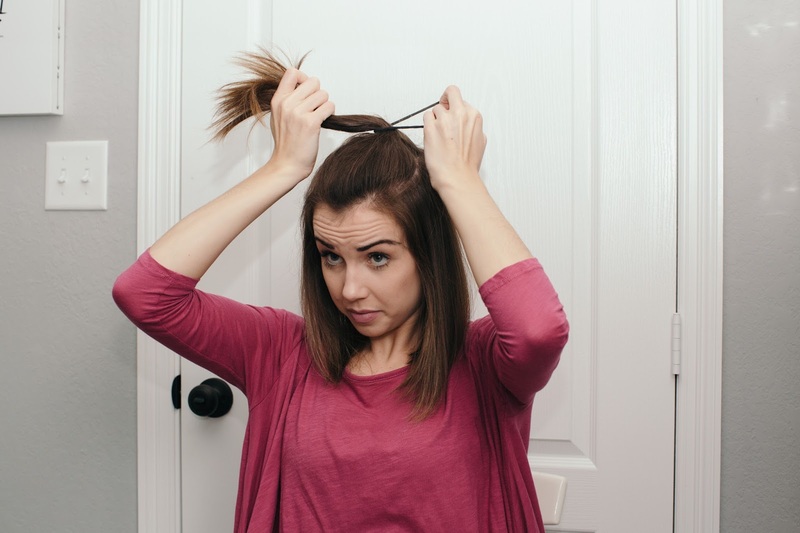 Take your ponytail holder and wrap it around your hair twice (or three depending on thickness) and pull it halfway through on the third or fourth wrap. 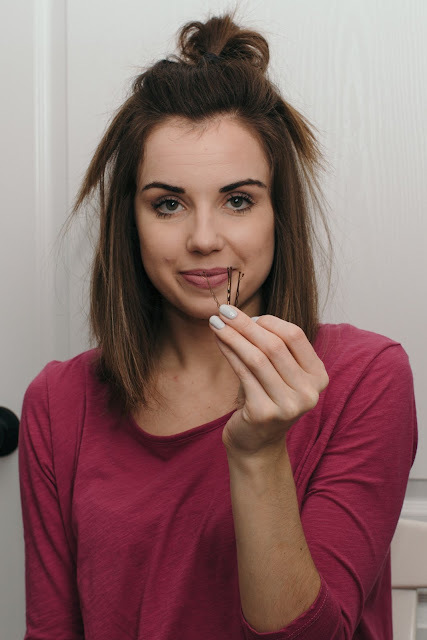 Once your hair is pulled halfway through take the ends and pull at them to make it messy! 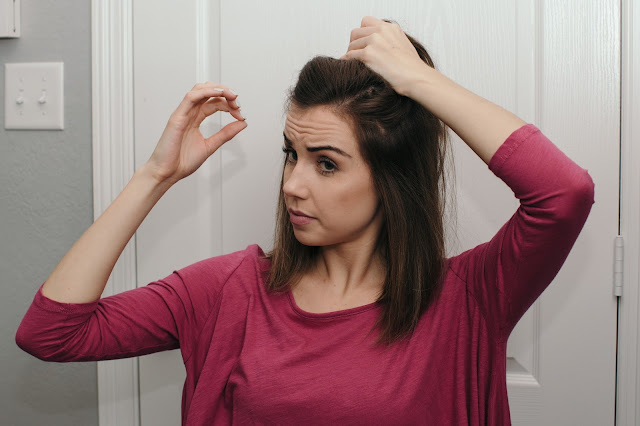 Also pull at the front of your hair to give it the volume from teasing. 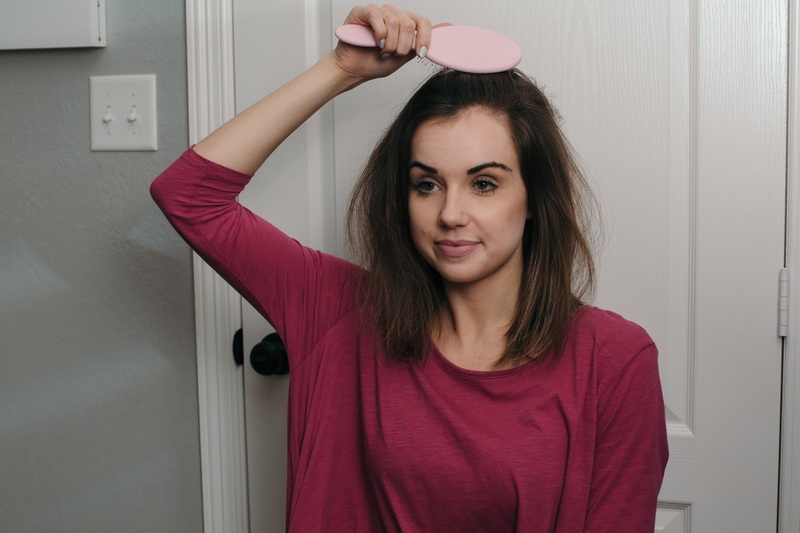 This helps loosen the hair that was pulled back tight so it looks relaxed and not slicked to your head. 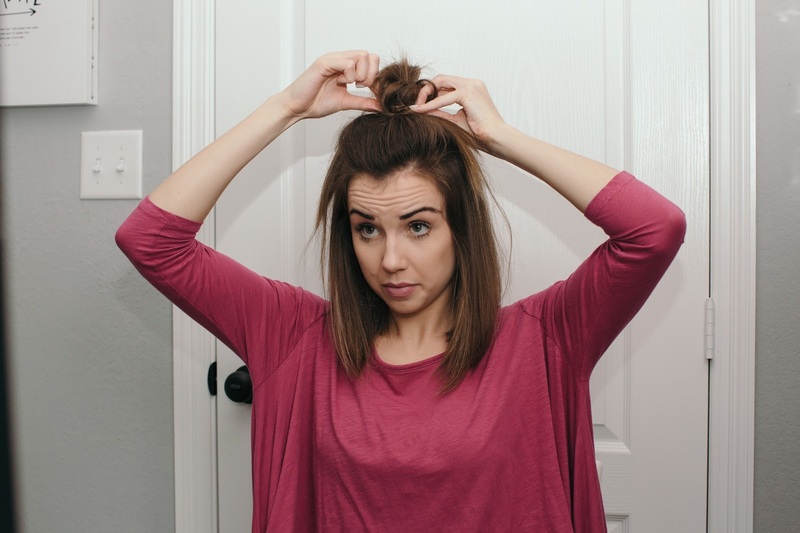 Next, take the ends and your bobby pins and start wrapping it into a bun type shape. It doesn't need to be perfect, messy is key, but not too messy. Once bobby pinned, fix any pieces that are causing you problems and finish with a nice mist of hairspray!